2 metre high quality RGB lead. 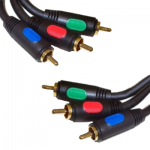 3 x gold plated Phono (RCA) plugs for RGB video connections. 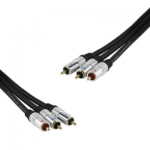 Order Code / SKU: 2SRGBPG Category: Component Video (RGB) Leads.